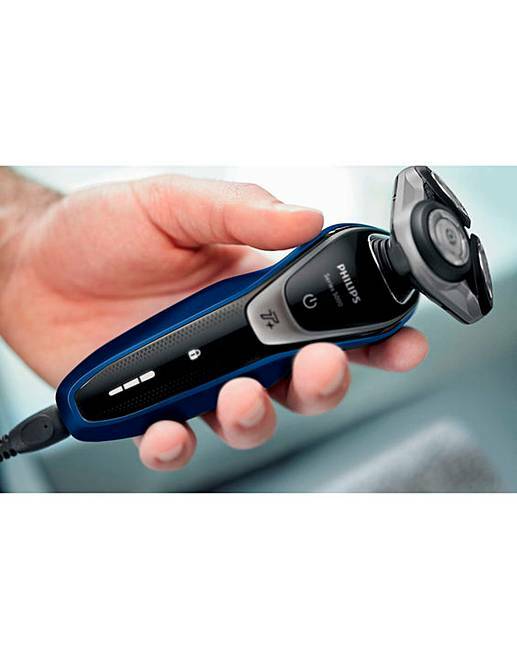 Philips Series 5000 Wet and Dry Shaver is rated 4.5 out of 5 by 2. 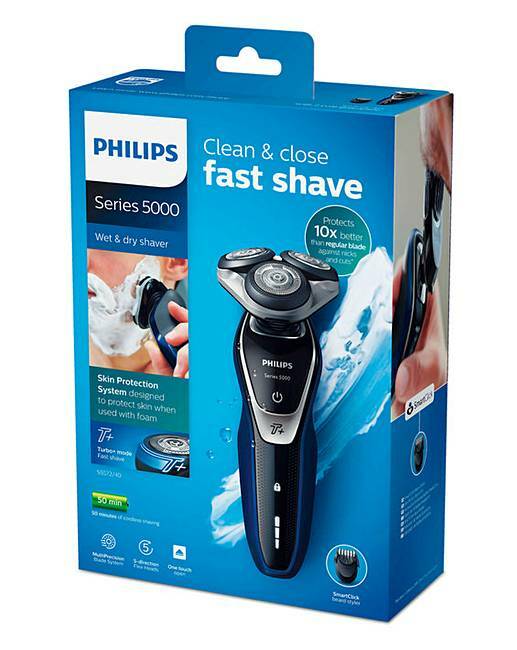 The Philips Series 5000 Wet & Dry Shaver protects 10x better versus a regular blade. The Shaver Series 5000 adds speed to your morning routine with a fast, MultiPrecision Blade System and fully washable heads. A comfortable and close end result, with rounded profile of heads designed to protect skin. 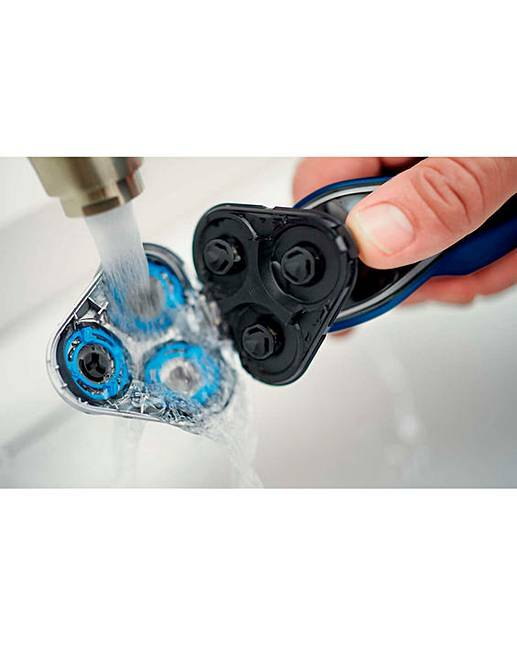 Get a comfortable dry or refreshing wet shave with Aquatec blades. Heads flex in 5 directions for a fast close shave. Shave through dense parts of beard with 20% more power. Easy to use. 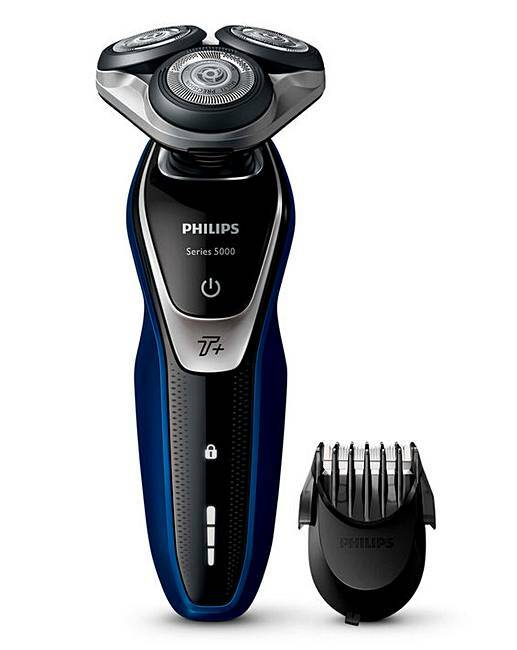 50 minutes of cordless shaving after 1-hour charging time. 3-level battery and travel lock indicators. Shaver can be rinsed clean under the tap. Worldwide voltage. Replaceable blades. Click-on beard styler with 5 length settings. 2 year manufacturer's guarantee. Rated 4 out of 5 by Eric from Good but not great. What is wrong with this shaver?.Well nothing really,but is it better then my old Remington,not much.Frankly after a shave the only thing i notice,is that the Philips is a bit smoother and has less friction.But i expected more of a product that cost a lot for a shaver,like a closer shave witch frankly it does not do against my old shaver.It does take a bit less time to shave,then my old one,but is this worth the price,only you can decide this.the Turbo is a nice feature witch has it's uses if you decide to leave your shaving a few day's.I would still recommend this product,but I was slightly disappointed,maybe my expectation was a bit too high,thinking I could get a shave like with a hand razor,and that is not the case.